Successfully Added Beelink GT1 Ultimate TV Box - Android 7.1, Octa-Core CPU, 3GB RAM, 4K Support, DLNA, Dual-Band WiFi, Google Play, Bluetooth to your Shopping Cart. Bring the power of Android into your living room with the Beelink GT1 Ultimate TV Box. This Android TV Box runs on the latest Android operating system. With its powerful Octa-Core CPU that has been clocked at 2GHz and 3GB RAM, it lets you tackle all the latest media. This Android Media Player is perfect for those of you who enjoy films, series, and games. From now on, you’ll be able to enjoy your favorite media from your big screen TV in stunning 4K resolutions. The Android TV Box comes with 32GB storage and a 32GB SD card slot. Therefore you won’t have to worry anytime soon about running out of storage for your media and files. By supporting Dual-Band WiFi, the Beelink GT1 Ultimate lets you browse the web at lightning speeds from your television set. To further increase your connectivity and user experience it supports Bluetooth 4.0, Miracast, DLNA, and Airplay. From now on, you’ll be able to entertain friends and families by throwing amazing movie and game nights. Simply head out to the play store and download the latest media of your liking. With this 4K TV box at your side, you’ll never have to feel bored again. 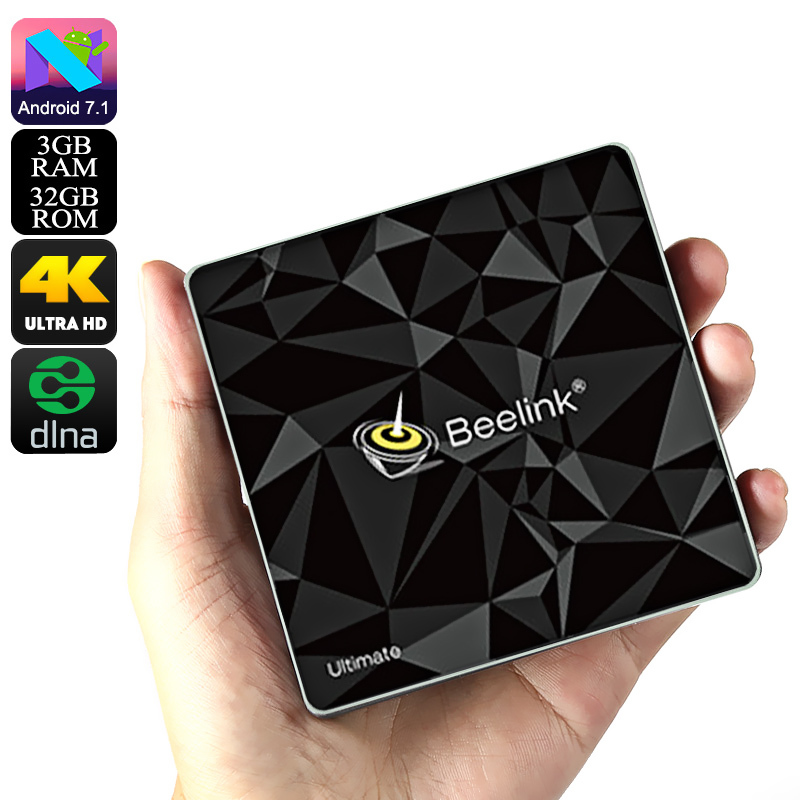 The Beelink GT1 Ultimate TV Box comes with a 12 months warranty, brought to you by the leader in electronic devices as well as wholesale media players..